Send your friends and family customizable cards from Picaboo Cards for Causes and show your support for finding an ovarian cancer cure. The front of the card is all yours to customize! Be as creative as you want, with one photo or several, and choose from many card layouts, fonts and stickers. The back of the card lets people know that you stand with OCRA to defeat ovarian cancer. 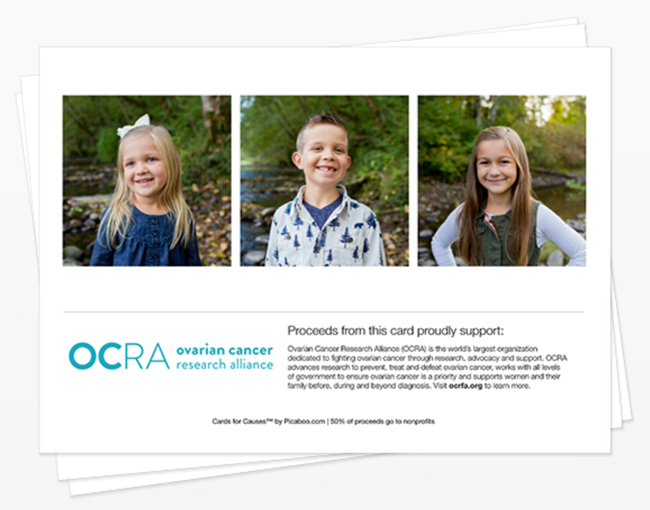 50% of each OCRA card purchased will benefit OCRA.